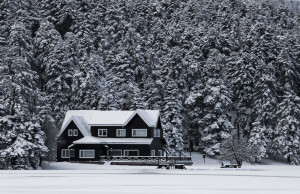 The winter months can be troublesome for the roof, pipes, driveway, and walkway of your home or commercial property. 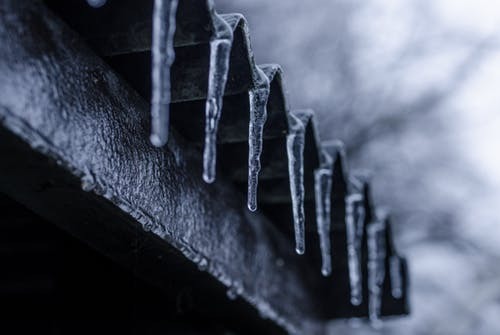 For example, on the roof of your home, snow and ice can collect around the eaves, creating ice dams that prevent water from properly draining. This buildup of ice can damage your roof, gutters and siding. Furthermore, snow and ice on your driveway is a hazard for pedestrians, it makes driving difficult, and removing it is time consuming. To remedy these issues, Deelat Industrial offers a selection of high quality de-icing cables for roofs and heating cables for driveways. A de-icing cable heats up internally to raise the temperature of surrounding areas. An inner conductor produces the heat, which is surrounded by layers of PVC insulation and coating to ensure safe operation. The cable is capable of reaching temperatures as high as 140 degrees Fahrenheit and will work in temperatures as low as -40 degrees Fahrenheit. One end of the cable plugs into an outlet, and the cable is flexible enough to be wrapped around piping and used on various types of roofs. 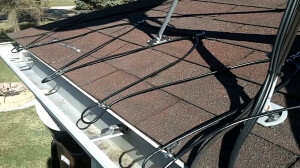 Begin the installation by attaching clips that will hold your cable in place to your roof shingles in a zigzag pattern. Place these clips around the perimeter of your house so that the peaks and the troughs of the zigzag are between 18 and 24 inches apart. When you are ready to install the cable, start by making sure that your plug is close enough to reach an exterior outlet. (Consider dropping the plug down a downspout if it is near an outlet.) Place the cable through the clips in a zigzag pattern, making sure that the cable loops hang over the gutter. This configuration will help direct the flow of water off of the roof and into the gutter. 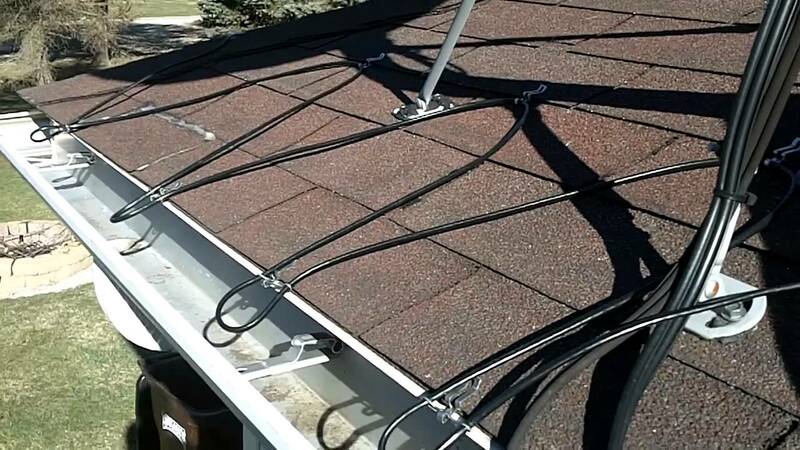 You should also place the cable horizontally along the bottom of the gutters; if you do not, the water runoff from the roof is likely to refreeze once it hits the gutter. Be sure to loop some of the cable into the opening of each downspout to ensure that they remain free of ice. If your roof has valley gutters or any other structure that could trap ice, lay cable through that space as well. When you expect snow, plug in your cables and leave them on during snowfall and long afterwards. They will in turn, melt all of the snow and ice at the bottom of your roof, but they will create channels for water to runoff as the snow and ice melt. 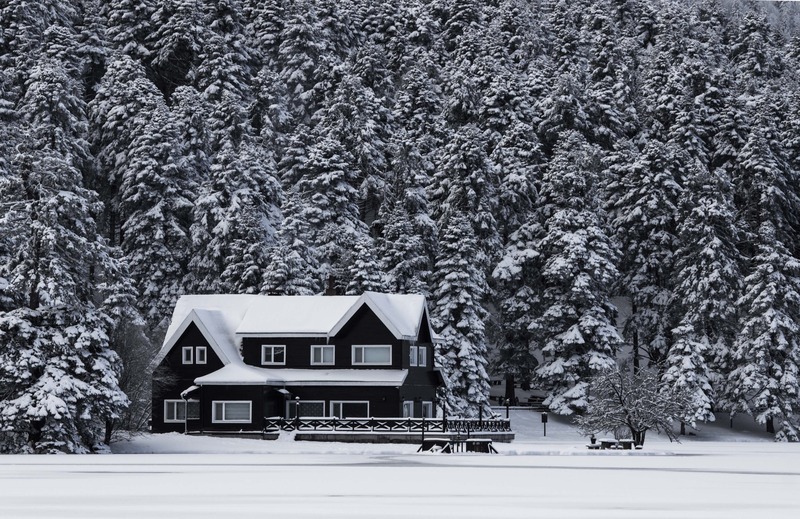 If the cables are laid properly, the water will not refreeze and create ice dams. Driveway heating cables are securely installed prior to the pouring of concrete or asphalt, or positioning of pavers in a driveway, sidewalk, or road. The cable is spliced to a power supply, which is connected to a control unit. The cables provide radiant heat to the surrounding area; it is possible for the cables to heat up to 100 degrees Fahrenheit. Moreover, Deelat driveway heating cables are made to function in temperatures as low as -40 degrees Fahrenheit. Similar to roof de-icing cables, driveway heating cables should also be placed in a zigzag pattern. The cable can be bent to fit into tight spaces in order to maximize heat radiation. Deelat.com provides a variety of de-icing and driveway heating cables for home and commercial installation. You can choose from our broad selection of heating cables, based on length and type of material.